Kim Kardashian and Kanye West’s first kiss as man and wife was the most liked Instagram photo of 2014. Accruing a whopping 2.4 million likes, Kimye’s smooch at their wedding in Italy has proved to be the most popular Insta snap of the year. We can’t say we’re surprised – the rapper admitted that he and his new wife spent a good chunk of their honeymoon editing the photo. He said: ‘Let me tell you something about that kiss photo that my girl put up … this was p***ing my girl off during the honeymoon, she was exhausted because we worked on the photo so much because Annie Leibovitz pulled out right before the wedding. I think that she was, like, scared of the idea of celebrity’. Time well spent, it would seem. 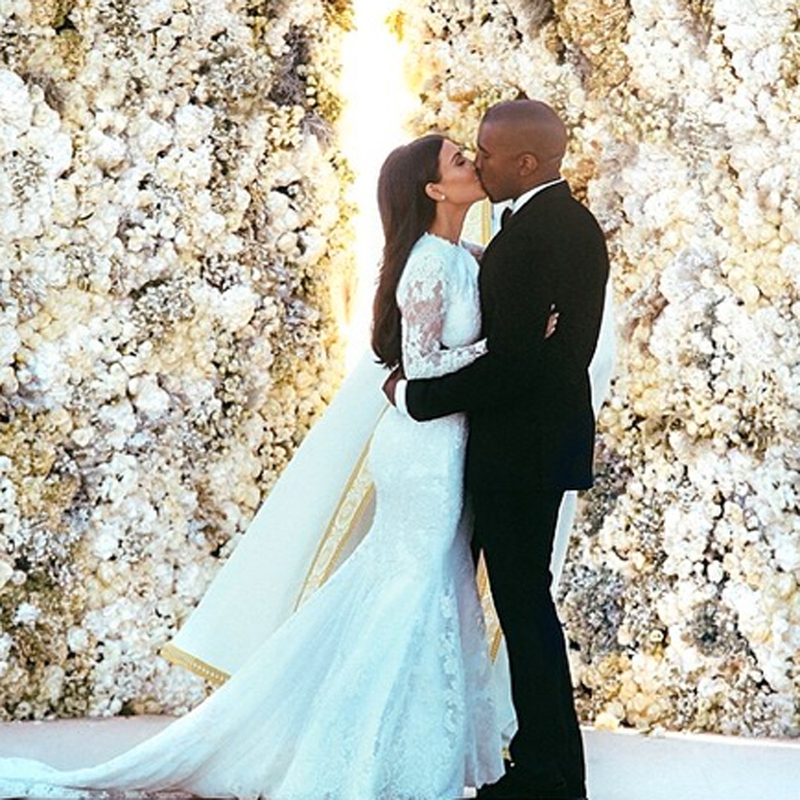 Kim, who has 22 million followers on the social networking site, posted the pic of her pashing her new hubby in front of their lavish wall of flowers in May and captioned it with a simple diamond ring emoji. Behind Kimye’s official wedding photo was this snap of Ariana Grande kissing Miley Cyrus with 1.83 million likes. And this shot of teeny popper Justin Bieber and his on-off girlfriend Selena Gomez with 1.9 million likes. It’s official, guys, Kim Kardashian owned the internet in 2014.